For many folks the latter part of winter can present itself in dismal ways. The excitement of the holidays is behind us for another year and our Nashville homes and landscapes are vacant of the holiday lighting that was present just a short time back. Do you remember the way you felt each time you pulled into your driveway and gazed upon your home and landscape under the warming glow of holiday lighting? 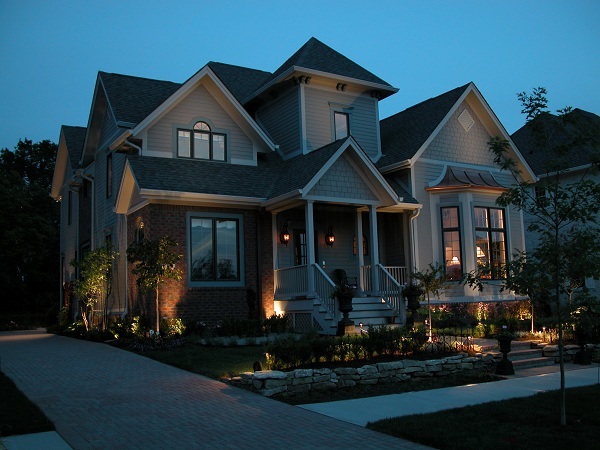 Do you miss the way the lights subtly accentuated your home and property? If so, you are not alone in missing the enchantment that outdoor holiday lighting brings. Instead of spending another dark evening wishing you could get that feeling back, why not install outdoor lighting that will keep that magic alive all through the year? 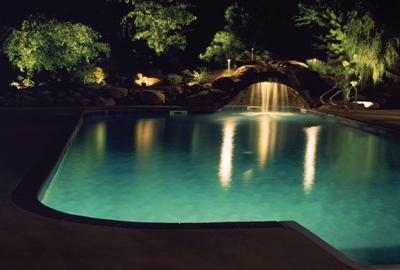 Outdoor lighting can extend your hours of enjoyment into the evening all around your home and within your landscape. Having outdoor lighting will also improve the safety and security of your home, and improve your home’s curb appeal. Not only will you get peace of mind in knowing the lights are on when you need them most, you will also get to experience the nuances of nature that are missed by keeping your landscape in the dark. With outdoor lighting each season presents its own distinct beauty and you get to witness each of these changes under the soft wash of light that outdoor lighting will provide. Nashville’s frigid winter temperatures may chill the bones, but snow, ice and the unique qualities of the winter landscape lend a magical beauty, especially under the illumination of outdoor lighting. Outdoor lighting will enhance the haunting silhouettes of leafless tress within your yard. Even though the trees are lacking in their leafy abundance their beauty is still present. Well lit paths and entries will also guard against accidents that could result from treading on dark, slippery surfaces in the cold of the winter evenings. 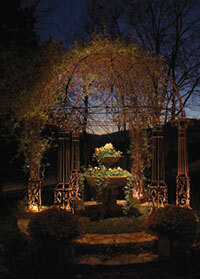 Garden lighting accentuates the beauty of blooming perennials and other foliage in the landscape. Bulbs and flowers begin to wake up from their long winter nap and the landscape comes alive with color. Perennial grasses come out of dormancy and the trees within our landscapes bud and spring new growth. With the addition of outdoor lighting such as garden and landscape lighting you will get a ring-side seat to witness the attraction of the world around you springing to life. As the days and nights begin to get warmer your desire to stay outdoors also heats up, outdoor lighting will allow you to enjoy the inspirational beauty of spring with a well-lit home and landscape. Not only does summer present more opportunities to enjoy outdoor activities after the sun goes down, the landscape itself lends itself to lingering longer in the evening hours. 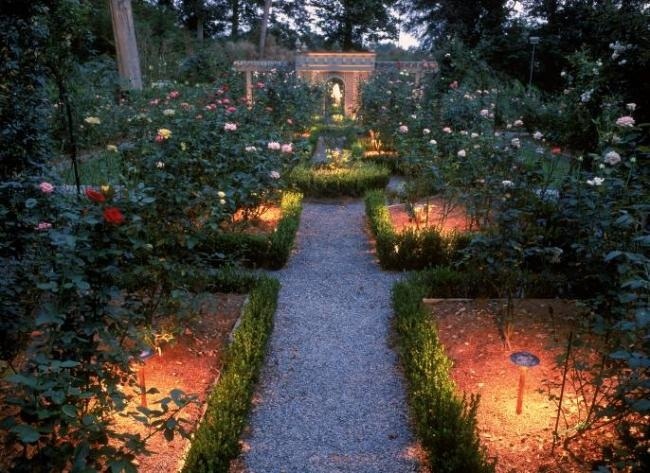 Outdoor lighting will enable extended hours of enjoyment in all facets of your landscape. Adding pool and underwater lighting to your pool area will enable you to enjoy a dip in the pool on those balmy summer nights, and deck and patio lighting will ensure your outdoor celebrations aren’t forced indoors due to the lack of light. Outdoor lighting will let you love and live in your landscape all summer long. Outdoor Lighting Perspectives of Nashville also offers party and special events lighting that is perfect for outdoor events you have planned, such as parties and weddings just to name a few. Autumn is the most beautiful time of the year in Tennessee. Our area is among only a handful of areas throughout the country that draws in tourists just to view our lovely fall foliage each autumn. Our landscapes are ablaze with color from amber to gold and every hue in-between. Tree lighting is one genre of outdoor lighting that will allow you to enjoy all the changing beauty of the trees within your yard. We use a combination of up and down lighting, as well as moon lighting, to play up the beauty and unique form of each tree. With outdoor lighting you will never miss a moment of the changes nature provides. See what you have been missing by visiting our garden and landscape lighting gallery, our pool and underwater lighting gallery and our deck and patio lighting gallery located on our website. This entry was posted in Landscape Lighting, Outdoor Lighting and tagged Landscape lighting Nashville, Nashville landscape and garden lighting, Nashville TN deck and patio lighting, Nashville TN moonlighting, Nashville TN outdoor lighting experts, Nashville TN path lighting, Nashville TN pool and underwater lighting, Nashville TN tree lighting, Nashville upscale outdoor lighting, Outdoor Lighting Design Nashville TN, outdoor lighting Nashville, Pool LIghting Nashville TN by outdoorlightingnashville. Bookmark the permalink.